Maria's Space: I Love The Title: IF YOU ARE WHAT YOU EAT SHOULD I EAT A SKINNY GIRL? 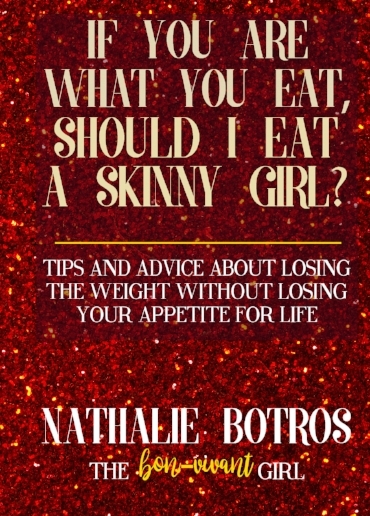 I Love The Title: IF YOU ARE WHAT YOU EAT SHOULD I EAT A SKINNY GIRL? Realizing that all we really need to do is begin with self-love and respect…and a little common sense, she decided to give "well living" a try (or bon-vivant, in French). She easily shed the pounds and became happier and more self-fulfilled. Now she is committed to sharing her story and philosophies in hopes that she can help others find the same success and step off of the downward spiral of self-loathing. 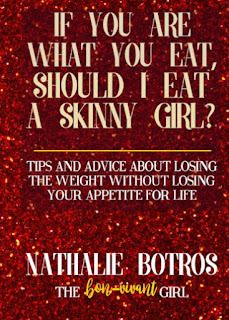 Her new book IF YOU ARE WHAT YOU EAT SHOULD I EAT A SKINNY GIRL? is full of tips and tricks to to be a happier, healthier you. Psychotherapist, certified health coach, author, and ex-serial dieter Nathalie Botros is all too familiar with the struggles of weight loss – she herself fought that battle for years. She understands the behaviors of women who become caught in the downward spiral of today's diet and body image cultures and recognizes the triggers that marketers and the media use to capitalize on negative self-image and drive the rapid, continued growth of the diet and weight loss industry. For Nathalie, however, she decided that enough was enough. She explains the sparkling periods were when she lived life to the fullest: traveling, going out, and enjoying dinners and events. The black periods usually involved trying a new diet – whether that meant munching on three raw vegetables at home and calling it dinner or injecting herself with pregnancy hormones as the highly controversial HCG Diet requires. Nathalie decided that her new approach would start from a place of happiness, self-love, and self-acceptance. By transforming her day-to-day relationship to food and writing a series of tips and tricks, she created a freer, healthier, happier lifestyle that led to a profound change in her body. From there she became a certified Health Coach with a mission to share the message that anyone can change their own story by simply beginning with self-love and respect – that by doing so they can live happily and healthfully while losing weight at the same time. And in sharing that message the “Bon-Vivant Girl” was born. 1. What does it mean to be the "Bon-Vivant Girl"? 2. In your journey you talk about sparkling periods and black periods. Tell me how you came to understand those different times in your life and how did you go about transforming yourself to reduce or remove the black periods? 3. What are the important things to include when cleaning house? 4. We all love pasta and the Bon-Vivant Girl is no exception. Why do you recommend cheating with your pasta? 5. What is your favorite tip in the book? What is the first change you made? 6. How did your background in psychotherapy help you develop the attitudes and ideas in "If You Are What You Eat..."? 7. What are some of the tips you want women to follow in order to change their outlook and to begin to truly love and respect themselves? 8. 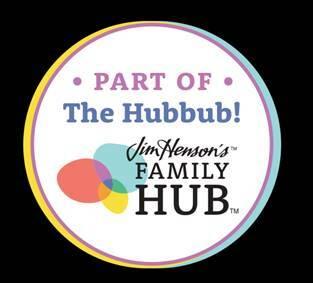 What did you learn about yourself during the process of becoming a certified health coach? 9. What most diets share is a prescriptive nature about what you can eat, when you should exercise and, ultimately, how you should live. How is the bon-vivant lifestyle a departure from prescription? You still advise and recommend people eat, exercise and live a certain way, right? Nathalie Botros – the "Bon-Vivant Girl" – is a certified health coach and psychotherapist who teaches women how to lose weight and feel great without sacrificing their appetite and love for life. She is a world traveler with a big appetite for food and experiences. She was born in Lebanon, raised in Turkey, studied in Switzerland, played and worked in Italy before eventually landing in the United States. Nathalie started her first diet at fourteen years old because everyone in her boarding school in Switzerland was doing it. That was the beginning of her serial dieting career. Her diets have varied depending on where she lived and what the “little black dress of diets" was at that time. When she arrived in New York Nathalie experienced the biggest weight gain of her life. After numerous failed diet attempts, she changed her “binge and purge” approach by moving her focus to making smarter choices overall while eating a bit of everything and loving every minute of it. I haven't always loved book about weight loss mostly because I felt like we all know what we need to do in order to lose weight and it was just a matter of doing it. What I loved first was the title. IF YOU ARE WHAT YOU EAT SHOULD I EAT A SKINNY GIRL? Good that meant it would be funny and not take itself too seriously. That is for me! I don't take myself seriously. I know I have gained weight since my last surgery and I know it will be harder now that I am older unless I make a life change. That change has to be for life. So in the past two months I put an app on my phone and started the process of really paying attention to what I eat. Well 2 months in and a physical and I am holding. Yes! I feel better but the numbers on the scale were the same. OK...it wasn't a big deal I just figured it took a while to gain and I it will not just drop off but then my doctor said...lets run some tests, this app shows you are doing everything right, you should have lost something. Hmm...I never wanted it to be about a number as someone who was Bulimic for many of my teen years into my early 20s. I needed to make a change and I needed to do it now. Then came IF YOU ARE WHAT YOU EAT SHOULD I EAT A SKINNY GIRL? Don't fall into the 100 calorie snacks. I didn't eat them often but occasionally. When eating out don't order all your dishes at once. Order and eat your appetizers then if you are still hungry order your meal. Eat sitting down not standing at the counter. I must admit, I do this so often and know I shouldn't. Going to change this immediately. Don't drink water while you eat. I drink a lot of water and especially while I eat however I learned that your stomach needs a certain acidity to digest. Hmmm...this is crucial news. Digestion is important to my intestines. There are so many other tidbits and Nathalie really does speak to you NOT from a do this do that but like a true friend offering suggestions and advice without beating "her way" over your head. "Lose your weight without losing your appetite for life."